Lohri (Punjabi: ਲੋਹੜੀ (Gurmukhi), लोहड़ी (Devanagari), لوہڑی (Shahmukhi)) is an extremely popular festival celebrated by the Punjabi people. This agricultural winter festival is celebrated in Punjab, Himachal Pradesh, Delhi, Uttrakhand and Jammu. The origins of Lohri are many and link the festival to Punjab. Many people believe the festival was originally celebrated on winter solstice day, being the shortest day and the longest night of the year. With time, the festival spread to the states adjoining Punjab - Sindh, Jammu, Haryana, Himachal Pradesh and Delhi. There are many origins of Lohri: all forming part of folklore. However, the main theme of Lohri is the belief that Lohri is the cultural celebration of the winter solstice. Lohri is meant to be celebrated on the shortest day of the year. 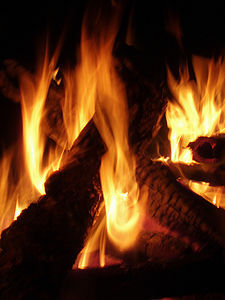 A key feature of Lohri is the bonfire. Lighting of the fire has been common in winter solstice festivals throughout time: it signifies the return of longer days. For some the bonfire has a religious meaning, a remnant of pagan origins, perhaps? For others, the bonfire is no more than a tradition. Going forward, instead of celebrating Lohri on the day winter solstice occurs, Punjabis celebrate it on the last day of the month during which winter solstice takes place. 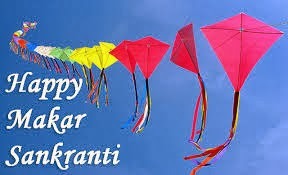 This is due to linking Lohri to the Bikrami calendar and the twinning of the festival with Makar Sankranti. According to folk lore, in ancient times Lohri was celebrated on winter solstice day. It is for this reason that people believe the Lohri night is meant to be the longest night of the year and on the day after Lohri, day light is meant to increase. The day after Lohri is celebrated as Makar Sankranti when the days are meant to start getting longer. However, scientifically, the shortest day of the year is around December 21–22 after which the days begin to get longer. Accordingly, winter solstice begins on December 21 or December 22 and Lohri ought to be celebrated on the day of winter solstice. Makara Sankranti is one of the most auspicious occasions for the Hindus, and is celebrated in almost all parts of India and Nepal in a myriad of cultural forms, with great devotion, fervour, and gaiety. It is a harvest festival. Makara means Capricorn Zodiac Sign and Sankranti means transition of the Sun from one zodiac sign to another. Thus Makar Sankranti is the day that marks the transition of the Sun into Makara rashi (Capricorn) on its celestial path. The day is also believed to mark the arrival of spring in India. Makara Sankranti is a solar event making it perhaps the only Indian festival whose date always falls on the same date on Gregorian calender every year: 14 January, with some exceptions, when the festival is celebrated on 13 January or 15 January. grandpa’s yard . . .
teel barfi - A sweet made up of sesame seeds and jaggery mostly and only in winter. mejis - In Assam, people make huts known as meji to celebrate Bihu (a form of Makar Sankranti) with prayers, feasting, songs and dance.